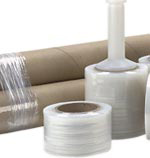 Pallet Wrap Film, Stretch Wrap Film, Wulftec, Sigma, Paragon, Genesis, Banding Film, Riverside Paper Co.
Riverside has a vast selection of Pallet Wrap film in stock. You can choose from many gauges and widths. Plus we have pre-stretched films. 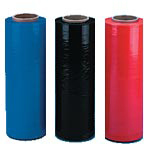 We carry machine grade Stretch wrap films to fit all machines. 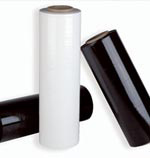 Our tinted stretch film is idea for color coding loads. 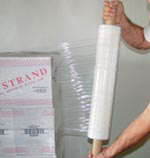 Opaque Pallet Wrap will conceal your loads and prevent pilferage. 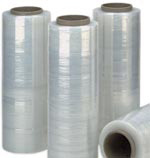 Our narrow width banding film is great for bundling a variety of products. Riverside is a distributor of Wulftec Pallet Wrapper.